为什么马斯克选择上海建设超级工厂？ [美国媒体] Why did Elon Musk choose Shanghai for Gigafactory? Why did Elon Musk choose Shanghai for Gigafactory? Hey guys, I did not go into the detail as to why Shanghai was chosen instead of another Chinese city. 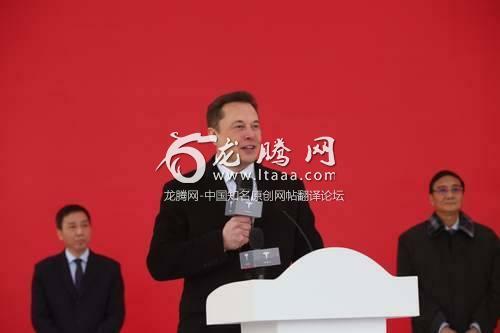 The reason goes deeper, Shanghai, Zhejiang (province), Jiangsu (province) region are the engines of growth of China with many upstream suppliers and many potential customers, therefore, having a factory here mean Tesla could react faster to both its customers and its suppliers. Enjoy! He is gambling on cheap labor and the hope the Chinese government will not steal his property. China has a track record of shutting down American businesses in favour of building up domestic (government controllable) alternatives. I don't see this as a good move. Nice video! But why Shanghai and not Shenzhen? I’m sorry, but Tesla will fail in a couple years. They’ve struggled with just turning a profit, which I don’t believe they have even done yet, just like spacex. Also, if he builds that factory in China I can just see the Chinese stealing all of Tesla’s manufacturing/tech secrets. They’ve done it to other companies outside of China, would be quite easy for them to do it to a factory in one of their largest cities, just a possibility. RE: Taxi in Shenzhen, most are EV, but some still not, and the rider will pay a surcharge for taking those.